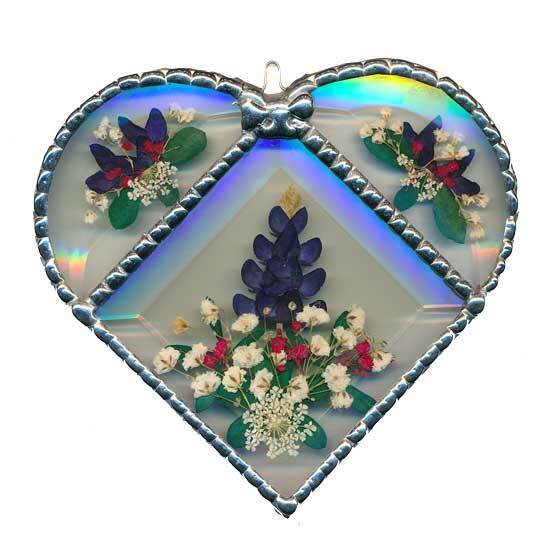 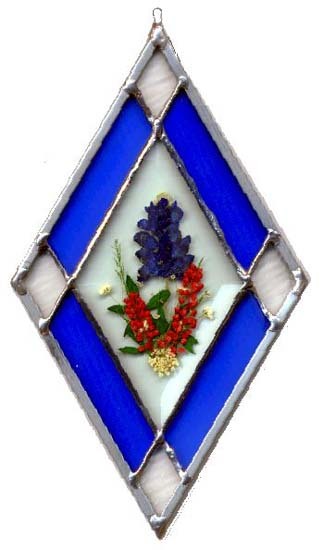 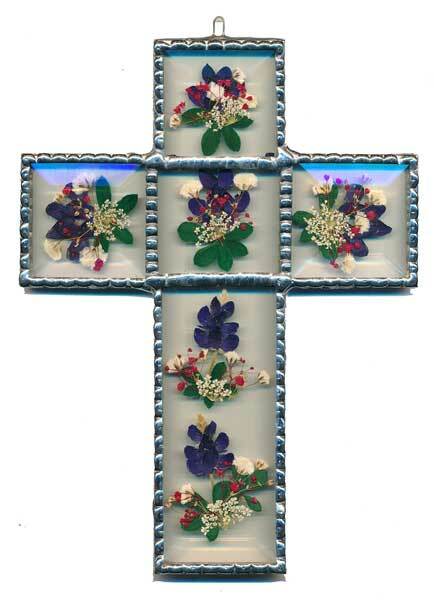 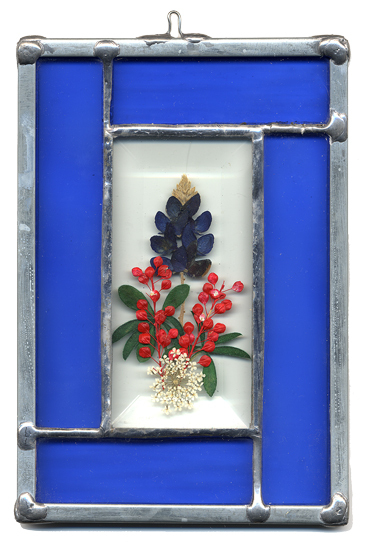 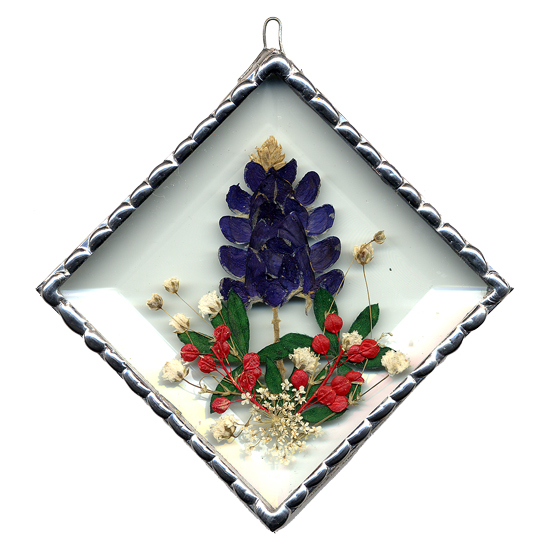 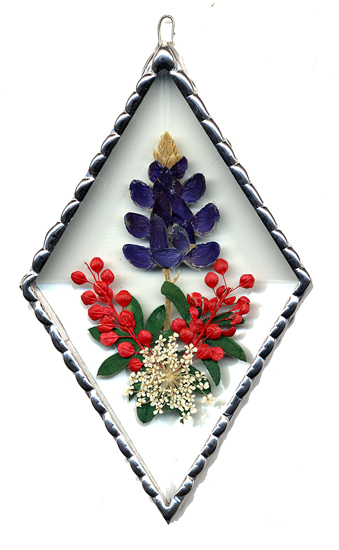 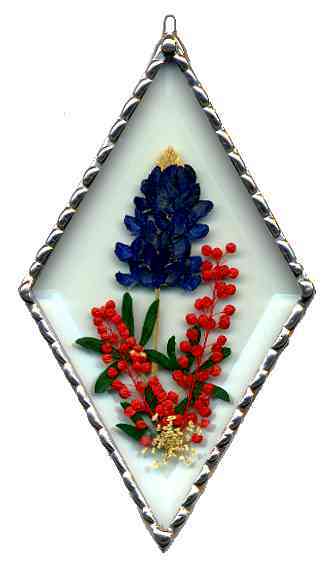 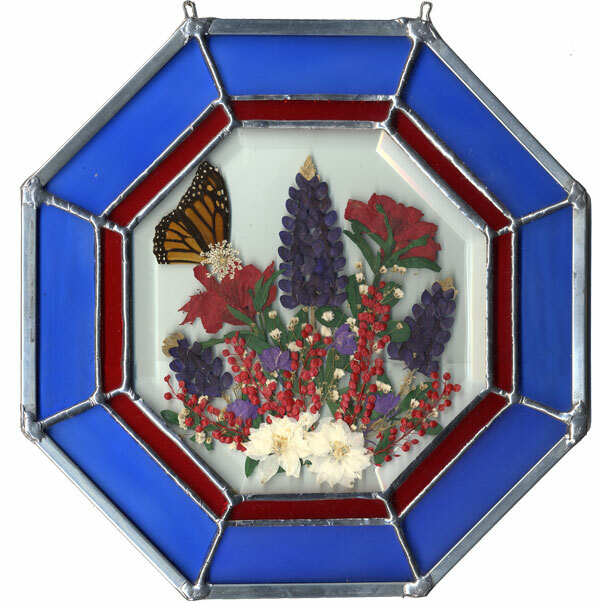 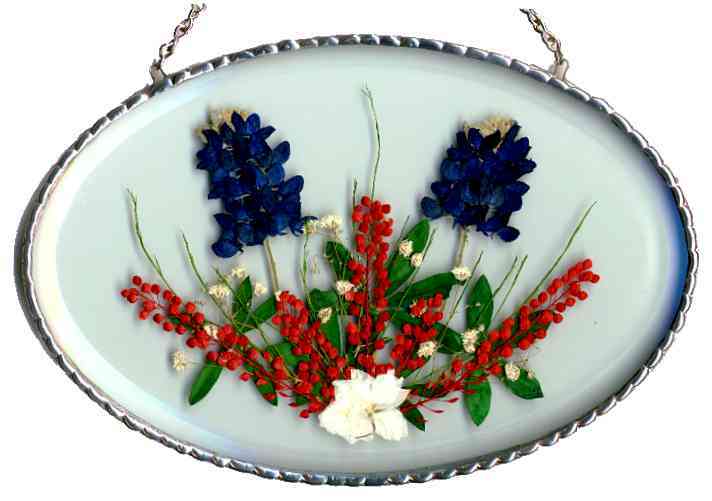 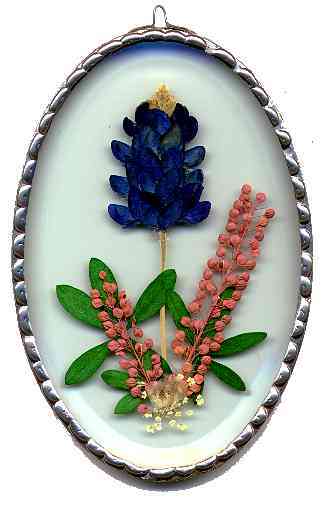 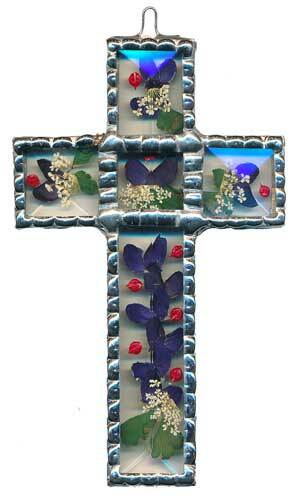 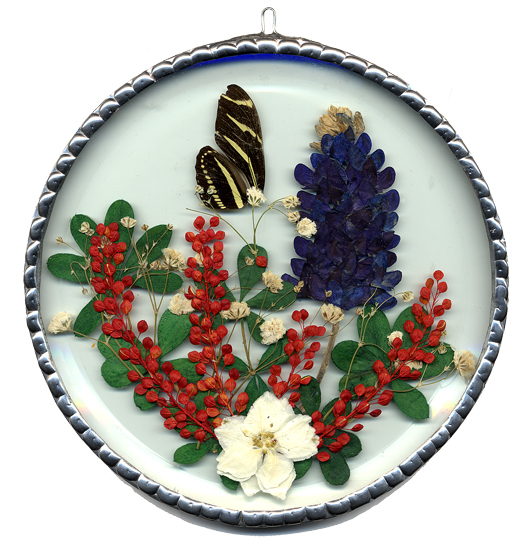 Using our techniques for pressing, coloring and arranging the Bluebonnet in the various shapes and sizes of windows that are available, we have tried to capture the elegance of the Texas Bluebonnet artistically and create a keep-sake that will stir your memories of this flower for years to come. 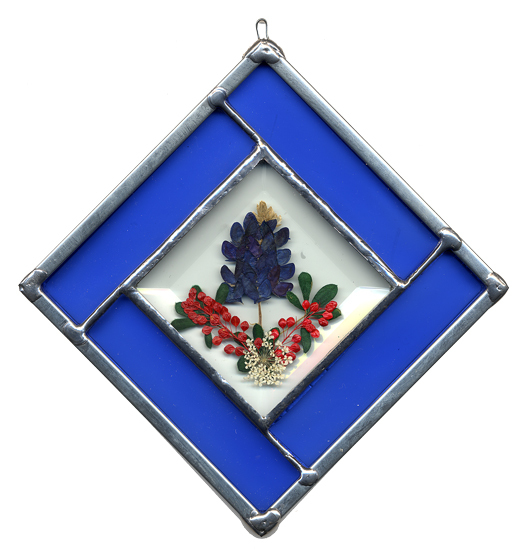 If you have ever been to Texas in the Spring and seen the massive fields of bluebonnets you know that Texas has put a lot of love and work into our lovely state flower. 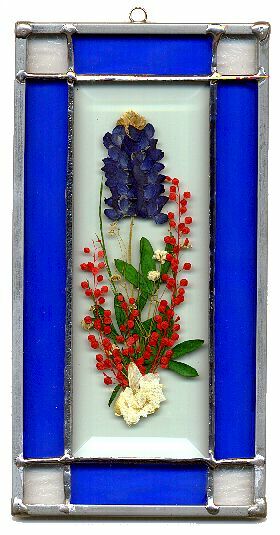 All of our arrangements are created with real pressed flowers and greenery, and all of the flowers are then hand dyed to prevent fading -- even when the windows are exposed to sunlight. 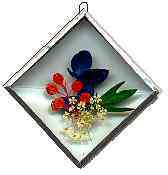 plain copper border 3" x 5"
small heart 5.5" x 6.5"
If you prefer you can order by phone, fax, snail mail or email.